Chemical Compatibility and Plumbing Pipes: What You May Not Know | Lubrizol Advanced Materials, Inc. The principle of galvanic corrosion caused by dissimilar metals, for example, is common knowledge in the plumbing industry – you never use a steel hanger on copper pipe. Just as metals can encounter incompatible chemistries, so can plastic piping systems. Many plastics are commonly used in plumbing systems, including FlowGuard Gold® CPVC, Corzan® CPVC, generic CPVC, PEX, polysulfone and polyphenylsulfone among others. Each of these plastics gains its strength from its molecular chains. The molecular chains are generally compatible with many outside chemicals. But, just as dissimilar metals can cause galvanic corrosion, the introduction of certain chemicals can result in a chemical compatibility failure. These compatibility failures result from the breakage and/or disengagement of the molecular chain resulting from the effects of a few specific chemicals, mechanical stresses or some combination of the two. The impact chemicals can have on plastics range from “always causes failure in every circumstance” to “zero effect in any circumstance.” Most chemicals that may come into contact with pipe in a typical building installation fall somewhere in between these two extremes. 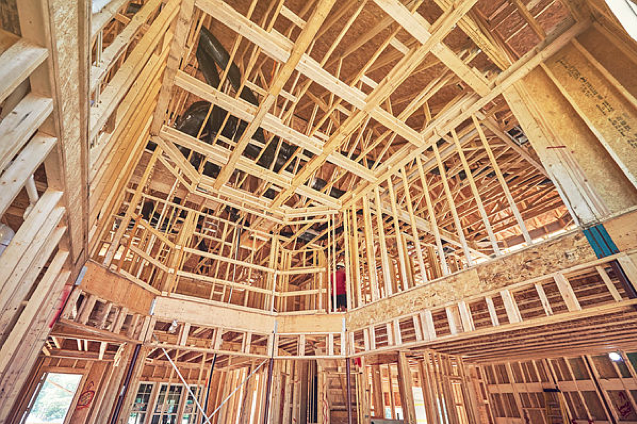 Because of this complexity, it is critical that builders, engineers and contractors have a resource they can turn to for validation of chemical compatibility with common ancillary building products. While there are a wide array of plastics and chemicals commonly used in the plumbing industry, there is only one chemical company intimately involved in the plumbing pipe and fittings market: Lubrizol. Only Lubrizol’s FlowGuard Gold, BlazeMaster®, Corzan and TempRite® CPVC piping systems are backed by the FBC™ System Compatible Program, which includes a list of ancillary products that are known to be compatible with FlowGuard Gold CPVC piping. You will also find a list of products that are incompatible and should never be used with CPVC piping. If a product isn’t listed or you have questions, please contact the product manufacturer. Unfortunately, when using PEX pipes and the polysulfone or polyphenylsulfone fittings used in PEX plumbing systems, there are no documented programs that exist to help identify which chemicals are incompatible with PEX or PEX fittings. 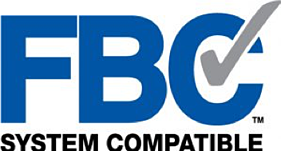 Where other materials and manufacturers leave you guessing about what may or may not be compatible with their products, Lubrizol’s FBC System Compatible Program helps ease the burden associated with researching and selecting ancillary building products for use with your FlowGuard Gold plumbing system. You have the option to use the FBC System Compatible Program Product Finder App on your mobile device to determine whether ancillary materials you select will be chemically compatible or incompatible with your FlowGuard Gold piping system. The app is available on the App Store for iOS or on Google Play for Android. Learn more about the science behind chemical incompatibility by downloading Lubrizol’s white paper, Understanding Chemical Incompatibility. Interested in using FlowGuard Gold CPVC as a reliable piping system for your next build? Contact us to speak to a representative.